Ships tomorrow if you order in the next 20 hours 27 minutes. That burning sensation that fills your chest and creeps up your throat. The discomfort. The regret for eating what you just did. Heartburn is a miserable situation, and when it hits, you want it gone fast. 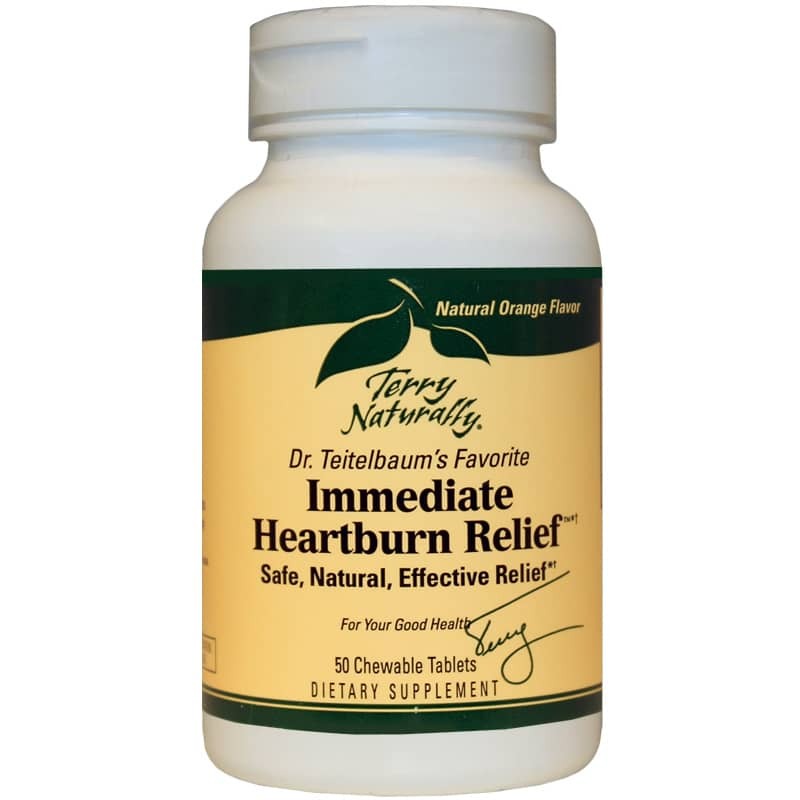 Get it gone naturally with Immediate Heartburn Relief by Terry Naturally. Immediate Heartburn Relief provides support for the relief of occasional heartburn in easy, fast chewable tablets. With vitamins and minerals, Immediate Heartburn Relief may provide the nutritional support your body needs to help neutralize the gastric acidity that causes heartburn. Calcium and magnesium are two minerals that may be particularly beneficial for getting stomach acid under control. And added vitamin D3 helps with the absorption of calcium. For a tablet that's easy to take, Immediate Heartburn Relief is chewable and has natural orange flavor for a pleasant, natural experience. It's completely free of artificial flavoring and colors and contains no preservatives. Calm the burn naturally. Order Immediate Heartburn Relief. Adults: Chew one tablet. 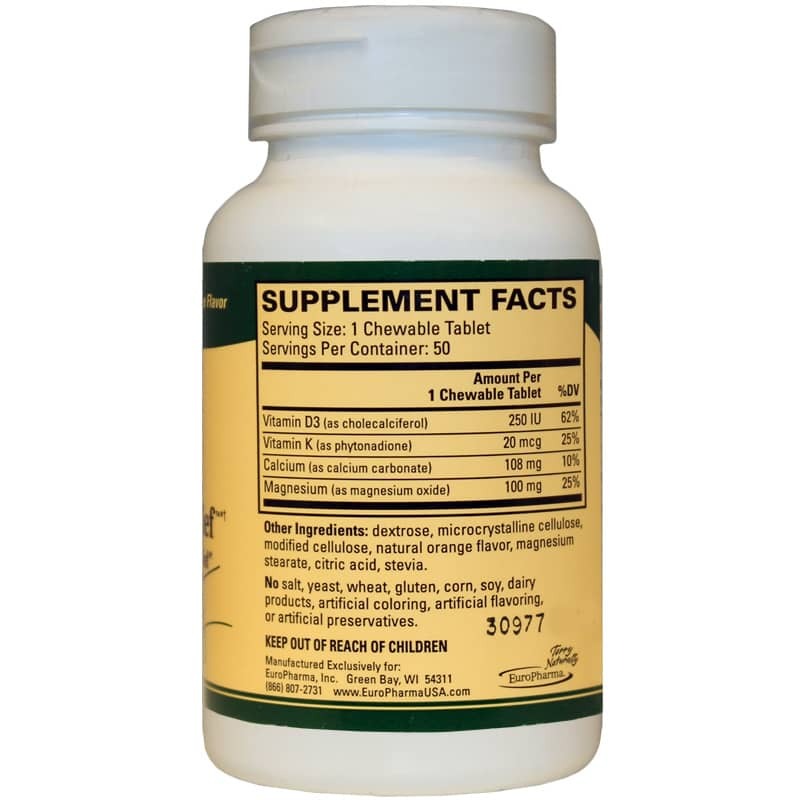 May increase to two tablets if additional support is needed. Repeat as needed up to a total of six tablets daily or as directed by your health care professional. This is a handy supplement to have around for occasional bouts of acid indigestion. It works and it is fast.